Where appropriate, we can o ffer you CEREC restorations. With CEREC technology we can provide you with beautiful crowns, veneers and inlays and onlays, while you wait. There will be no need for dental impressions and no need to wait several weeks for your new restoration to be made in a dental laboratory. Instead treatment can be completed during one comfortable visit without compromising on quality. CEREC uses the very latest CAD/CAM technology to mill beautiful porcelain restorations from solid blocks of ceramic. These ceramic blocks come in a huge variety of shades and translucencies so we will be able to get a perfect match with your existing teeth. 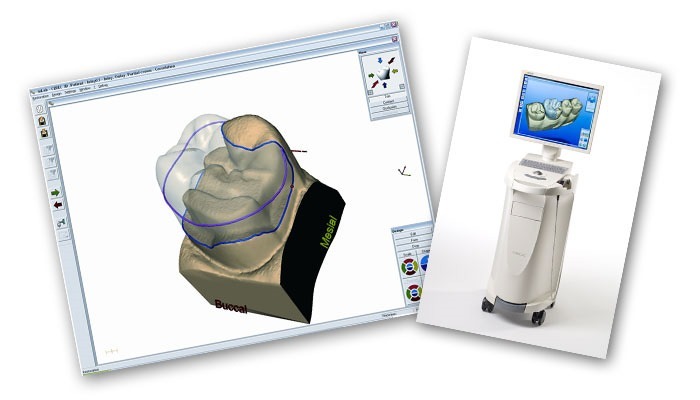 What is the Procedure for CEREC Restorations? Our dentists will still prepare your tooth in exactly the same way as they would for a conventional restoration, using local anaesthetic to keep you completely comfortable. Once the tooth is prepared then it is scanned using a small digital camera. The information is sent to a computer where our dentist will design your new restoration. The information for the design is then sent to our on-site milling machine where your restoration will be milled while you can sit back and relax with our in-chair practice entertainment system. Once the restoration is completed it is hand finished by characterising staining and glazing the porcelain so the final result is beautiful, strong and unique. The next step is for the restoration to be tried in and the use of CAD/CAM technology helps ensure a perfect fit. Once we are completely satisfied, the restoration is cemented in position. The use of this technology eliminates the need for a second visit and there is no need for you to wear a temporary restoration. 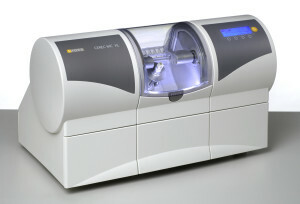 CEREC restorations are very hardwearing and long-lasting as the ceramics used are extremely strong. St Vincent’s Dental Centre will often suggest these restorations as the results can look wonderfully natural. However if you require a comprehensive smile makeover that will use a number of different treatments, then we might recommend your teeth are made more traditionally in a dental laboratory for optimal results. We will always give you all the information about possible restorative options which will always be of the very highest quality. We are located at 3/55 Victoria Parade, Fitzroy, Victoria 3065. You can contact us on (03) 9419 7022.